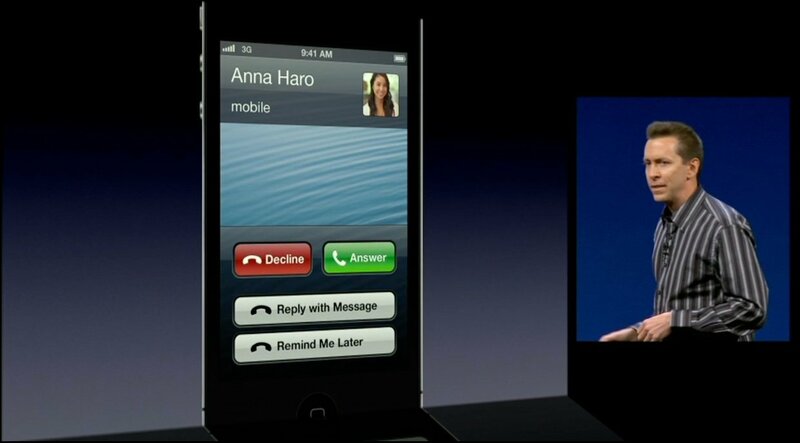 While Apple improved their alert system with Notification Center in iOS 5, they're finally bringing some sanity and serenity to it with iOS 6. Too much notification turns into interruption, especially if your only options are to answer or hang up, to leave everything on or turn everything off. It makes us the single-points of failure in our memory chain, and let's face it, why bother having these fancy devices if we're the ones who have to remember to call back, or remember to activate and deactivate alerts every morning and night. Which brings us to Remind Me Later and Do Not Disturb. 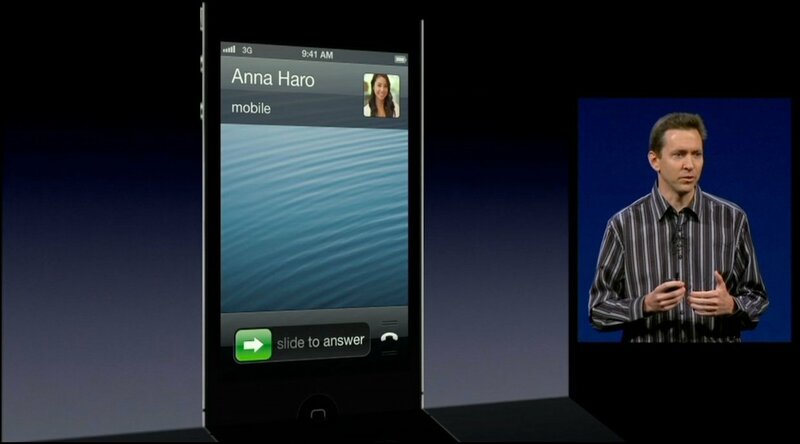 When a phone call comes in, in addition to the venerable Slide to Answer interface, there's a new Lock screen, gripper-style phone icon to the right of it. Similar to the iOS 5.1 Lock screen camera icon, you can use the phone icon to slide the screen up and reveal new options: Reply with Message and Remind Me Later. If you can't talk now and want to let the caller know, Reply with Message lets you quickly send an iMessage or SMS with boiler-plate responses like "I'll call you later", "I'm on my way", "what's up? ", or if the canned replies don't suit you, create a custom one all your own. If you'd rather get back to then, Remind Me Later allows you to rapidly set up a time-based Reminder to call back in 1 hour, or a location-based Reminder either geo-fenced to where you are not, or set up for when you get home, or get to work. Do Not Disturb is more pre-emptive. It allows you to prevent incoming calls and alerts from lighting up the screen or making any sound or vibration while your iPhone is locked (they'll still appear listed, as normal, in Notification Center when you get around to checking). When Do Not Disturb is active, you'll see a special half-moon icon on your status bar to the left of the time. 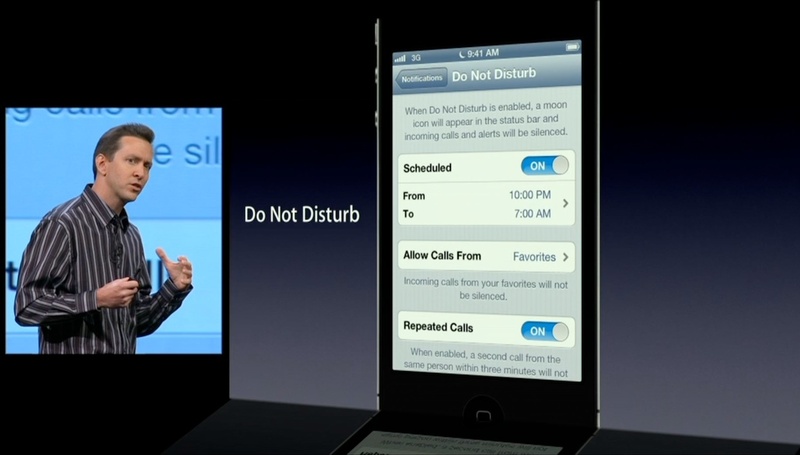 You have granular control over Do Not Disturb settings. 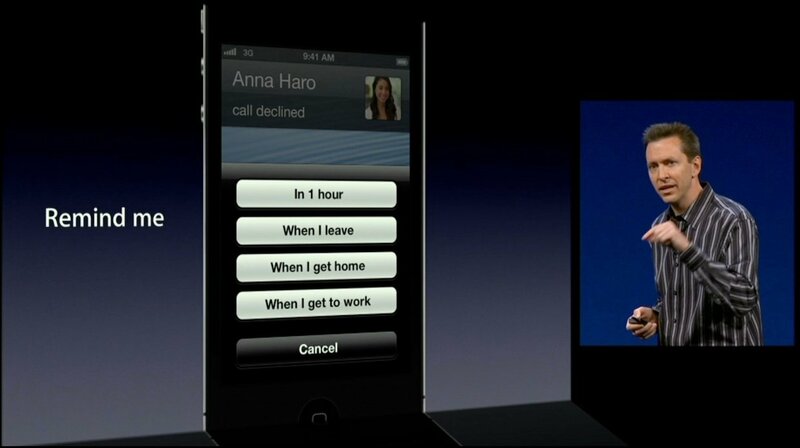 You can turn it on and off manually, for example, when going into a meeting. You can also schedule an automatic time range, for example, every night during your regular sleep hours. 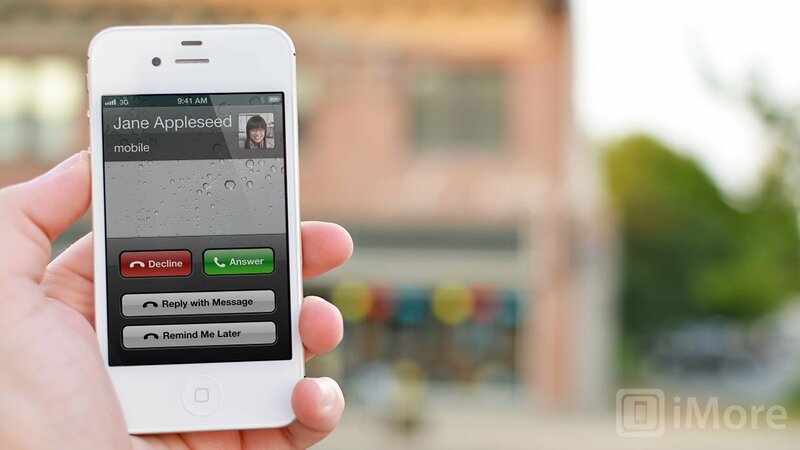 You can enable exceptions to Do Not Disturb, to allow calls from certain contacts, including everyone on your Favorites list, or a specific contacts Group. 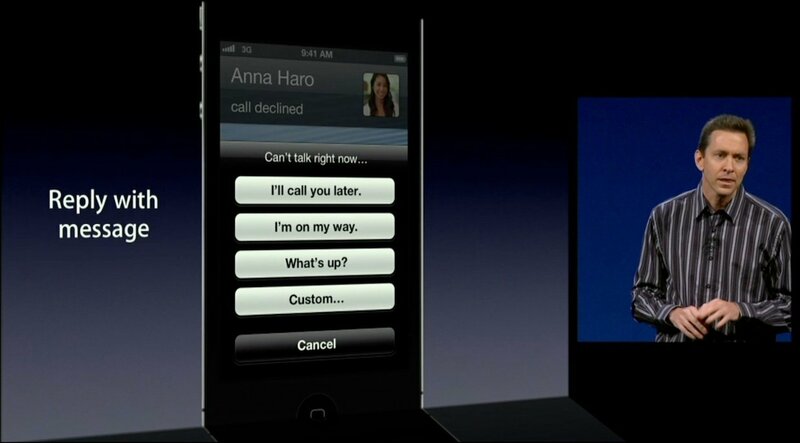 You can also enable an exception for repeated calls, in case of emergency. That means if someone thinks it's urgent enough to call you back a second time within 3 minutes, that second call will come through. Overall, these are terrific additions to iOS' communications and notification handling. It doesn't go as far as true profiles, for example, location-based profiles that automatically change a range of settings including notification, network, security, etc. when you're at home vs. at work, or more rounded bedside mode, but it's a start.